As usual, I’m left with the question of just where to begin. Besides reiterating just how much I love this show, the actors and characters that is. It’s official. 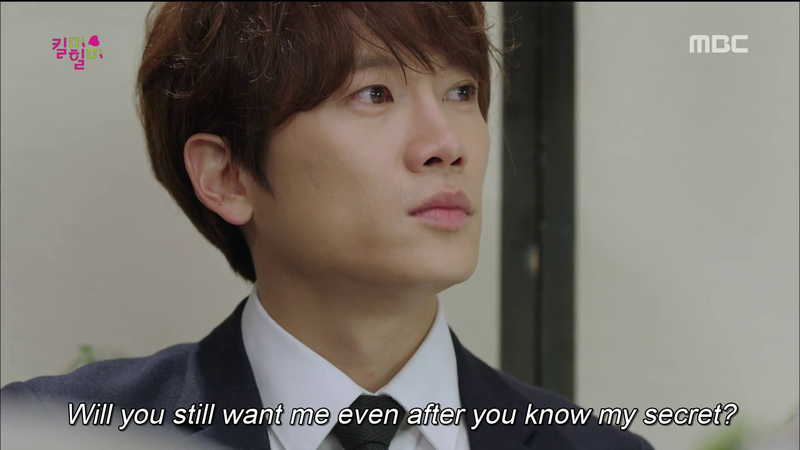 Liar Game, you’ve been supplanted, utterly and completely owned by the tour de force that is Kill Me Heal Me. 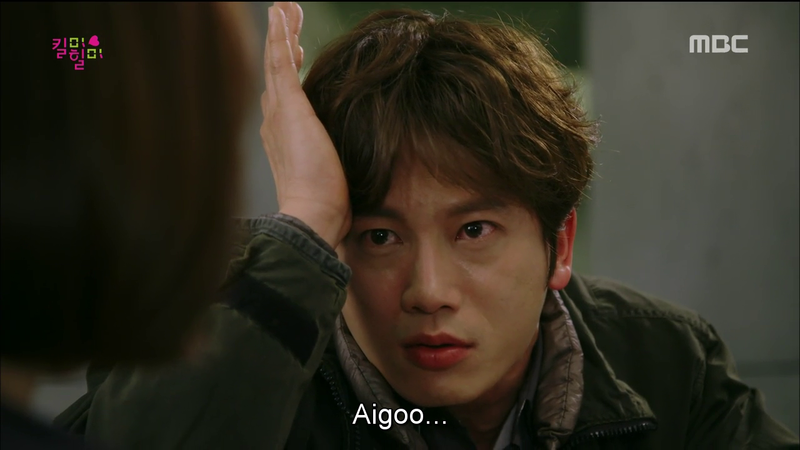 Forgive me Ha Woo Jin. I could go on on a bit further on how I never thought I’d ever meet another drama, especially not this soon, that would EVER beat out Liar Game but there you go. I’ve never been this lost, this madly in love with a show, weeping in full force during the moments of incredible emotion and depth, laughing out loud during the hilarious parts and left with this sense of joy and effervescent hope, once I was done. Thank you, show. Thank you. I can’t believe tomorrow is good-bye. But let’s focus on today. I’m ridiculously glad at how well Dohyun’s stepping up to the occasion and moving forward. It may seem as though the conflicts are being resolved too easily (the thing with Alex for one), but as I said about a week ago, the only hurdle that really mattered was the abuse, pain and guilt these two had to overcome. Everything else, be it shareholder meetings, or Chaeyeon, or Ki Joon or Alex, is an afterthought. Seeing that Dohyun’s been taking the wind out of Alex’s ‘bombshell’ as well, I’m glad that things ended up the way they did. What Dohyun said to Alex was a long time coming and demonstrates just how far he’s grown. He still shoulders much of the guilt and blame (though he really shouldn’t in this case, Alex made his own bed) but that’s one of his best and worst character traits, his sense of responsibility, his way of narrowing everything down such that it’s all his fault (remember when Rijin wanted to eat her mother’s duck stew in ep 13?). It makes him a lot more aware of others’ pains and problems, and a hell of a lot more empathetic and understanding. Seems to me that him and Rijin aren’t so different in that respect. 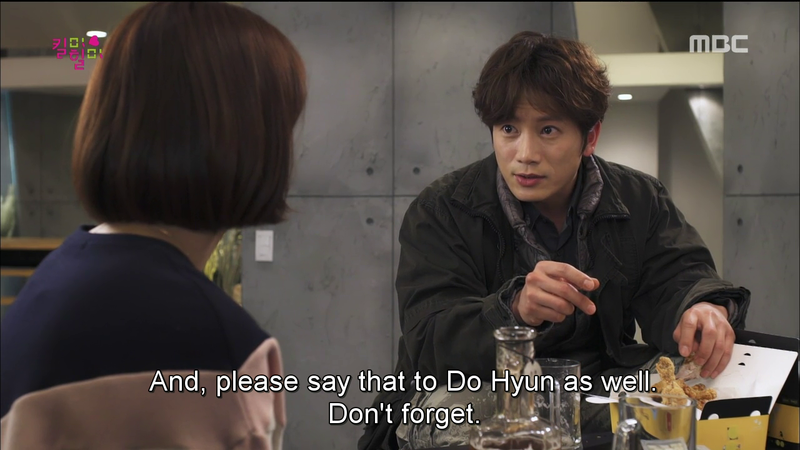 Nevertheless, Ki Joon still knows about Dohyun’s DID, but I still don’t think it’s going to be a big deal. They won’t shove company politics down our throat in one episode. Dohyun’s title as Vice-president was only ever one of the many things that got tossed his way because he was Seungjin’s heir. He never wanted anything to do with it, and can survive just fine without it. 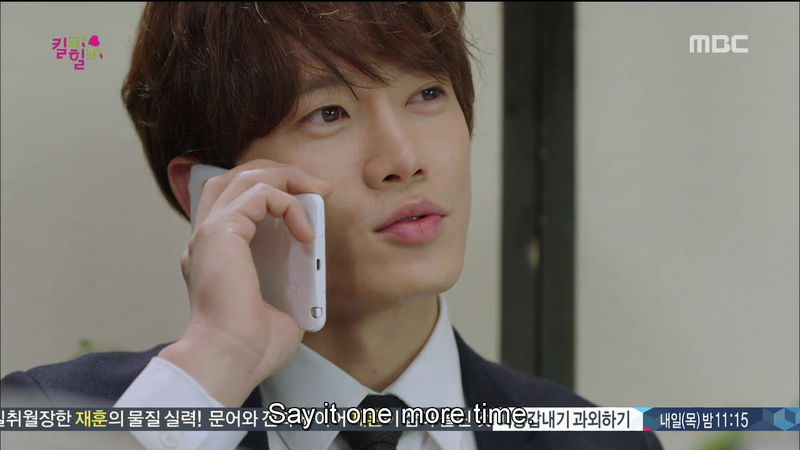 It’s not a central aspect of his life at all (unlike Ji Sung’s previous role as Minhyuk in Secret, who couldn’t imagine not having the company, or Yoojung!). 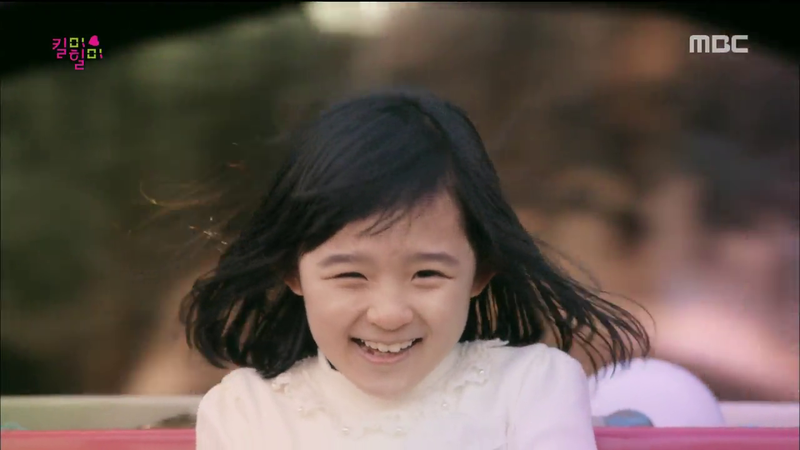 Major, major props to the writer for handling the Chaeyeon arc so well. I do feel for Chaeyeon in some sense. 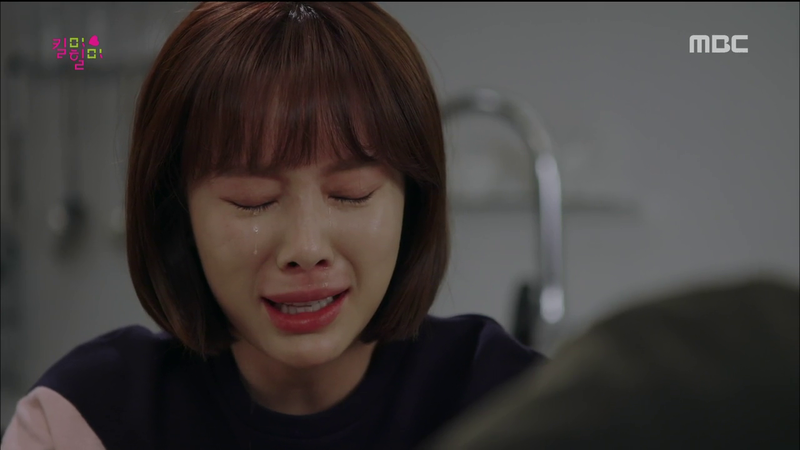 Dohyun did treat her like a princess, and after all Ki Joon’s screeching and shoving, the contrast must have felt like paradise. Girl, just wants someone who loves her, I really can’t blame her for that. But she’s got to stop when he’s pushing her away, and I’m glad that arc was ended definitely today. It was quite, quite brave of Dohyun to take two large steps in one day, and I’m really glad that his resolve didn’t waver. He went straight for it. And we all saw how she reacted. I don’t think it was entirely disgust on her part, but more like the last flaming bit of hope within her was snuffed out as she realized that even when he did come to find her, it wasn’t because of anything he felt for her. 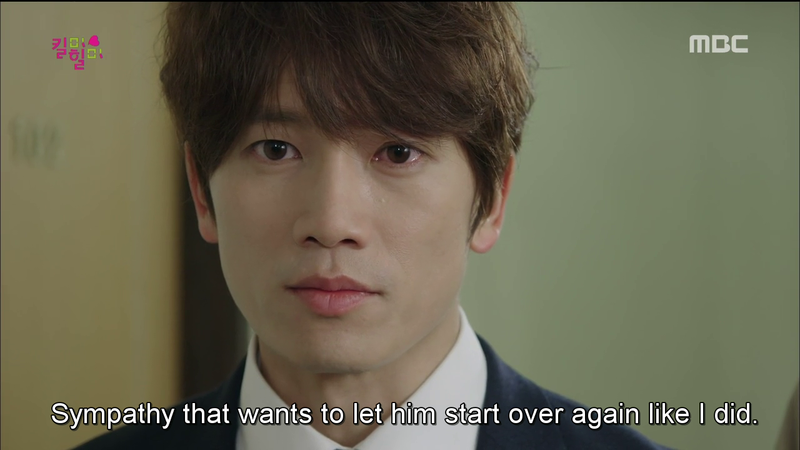 Whatever he felt is well and truly dead, and she doesn’t want to deal with a man who’ll change on her so quickly. I like how the reaction is human, and doesn’t paint her as some psycho second female lead. Props again, to you writer-nim! Dohyun may be plowing through with as much resolve as possible, but he’s far from impervious to pain. 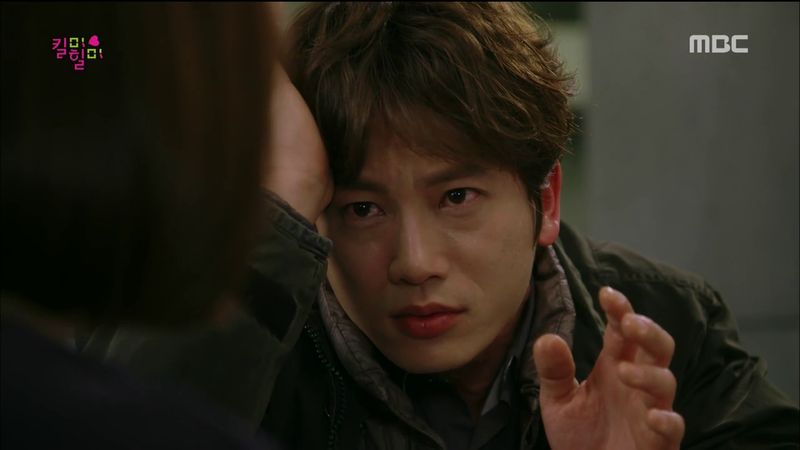 His reaction after Chaeyeon’s departure (oh Ji Sung, must you be so perfect? )was one of such quiet acceptance in the face of yet another rejection (because it’s definitely a rejection of both him as a romantic interest, but also as a person) that I just wanted to rush over and give him a hug. Luckily there’s someone who’ll be doing that for him from now on. Before I go onto speak more of the awesomeness that is Rijin and Dohyun, I’d like to touch on a perhaps less prominent but in no way less important character. Ri On has been the subject of much speculation since the start of this show. Just who is he? Dohyun’s stalker? An unscrupulous fellow seeking to topple Seungjin group? The child in the basement? Seungjin’s real heir? Dohyun’s rival in love? The man wears many hats, and perhaps that’s why it was so hard to pin his character down at the start. 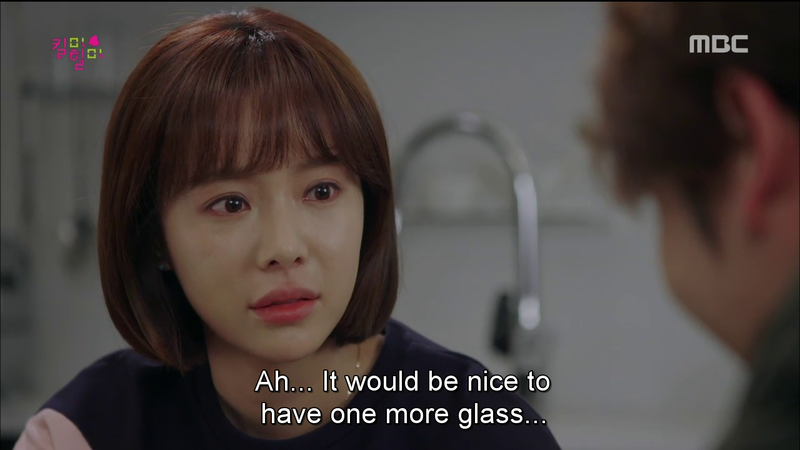 Out of all the characters, I love our leads the most, but I think Ri On is the most relatable. We’ve all been there with one-sided crushes, but his was far more if you ask me. It’s not even like he had the option of telling her since he didn’t know that she knew of her adoption. He silently held it in, aware that it wouldn’t be considered right, but yearning for the truth about her past to come out in some way so that he could finally be a man in her eyes. 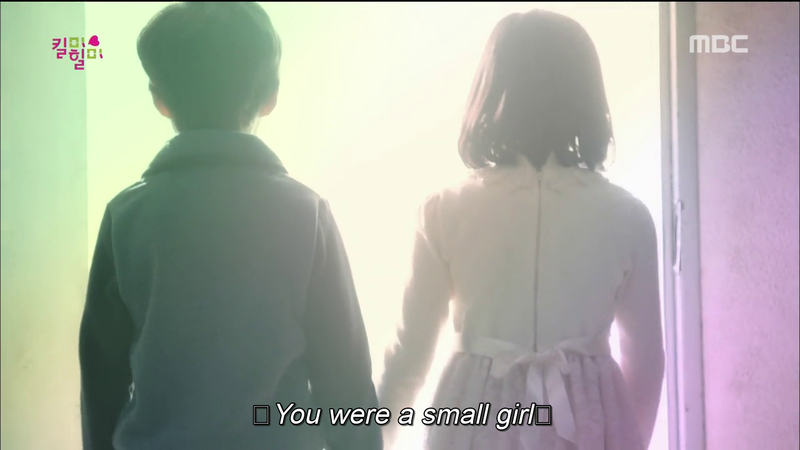 Earlier, in episode 15’s review I said that Dohyun had to make the same choice Ri On did, upon finding what happened in Rijin’s past. Say nothing and spare her the agony, or tell her and watch her in pain. But there was something extra to Ri On’s choice that Dohyun didn’t have to do. 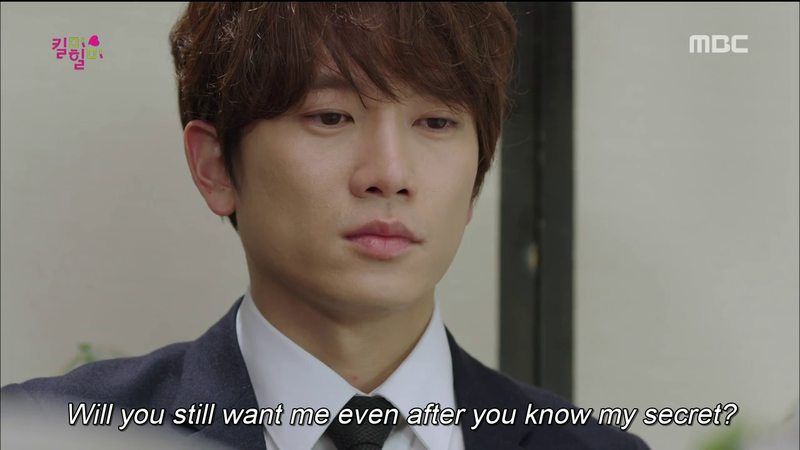 In not telling her of her past, Ri On gave up every chance he had of ever being with Rijin. In hiding the abuse in her past, he did her parentage and therefore their true blood relationship. 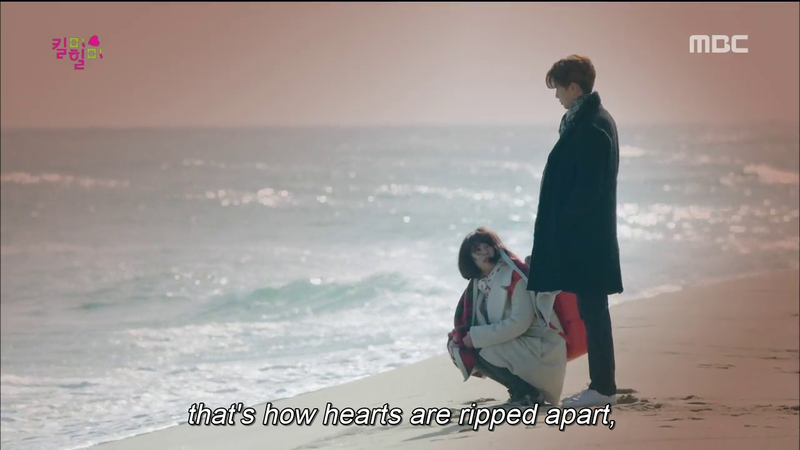 So when Dohyun returns to Rijin’s life he’s understandably outraged and heartbroken when she falls for what he considers the root of what happened in her past. 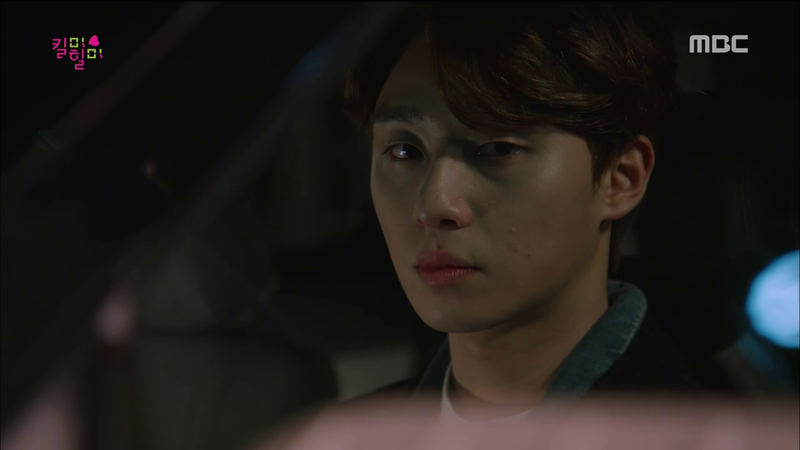 Dohyun’s gentle, quiet, responsible nature softens him a bit, but he cannot bring himself to support Rijin’s relationship at times (as we saw during parts of ep 10 and 11). Yet even then, it takes only a few minutes or hours for him to bring Rijin back, or help Rijin out. Throughout it all, his love for her never wavers. To me, both Dohyun and Ri On love her equally, deeply and greatly. 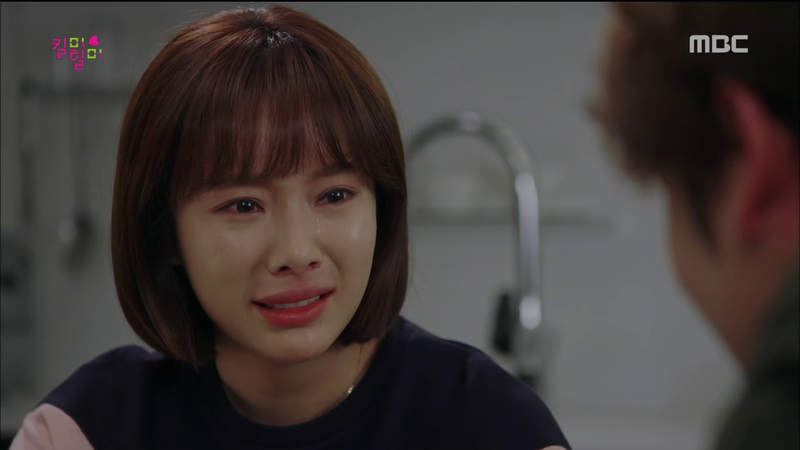 But the one she loves is Dohyun, and that repeated confirmation of that these past two episodes have slowly been tearing Ri On’s heart apart. We saw a glimpse of it during the dog-walking escapade in ep 18, during the farewell at the airport in ep 7, when Ri On watched the proceedings from his car in ep 10, 12 and 15. And things finally come to a head in this episode. The dreaded moment when Ri On has to finally send her away arrives, and he does it with elegance and grace, as usual. To drive the woman you’ve loved for so many years to the home of the man she loves is pretty damn painful, and I’m really happy and oddly proud of the way he handled it. 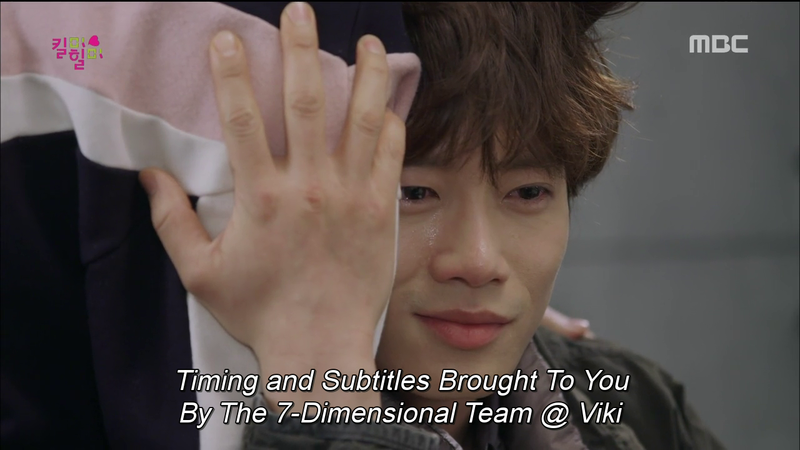 But just as wonderful was Dohyun’s handling of the situation. Not only has he been there’s before with Chaeyeon, but he knows that this is worse, seeing how genuine Rijin is to everyone (while Chaeyeon just treated Dohyun nicely because of who he was). Rijin’s made her choice, and they both know it. 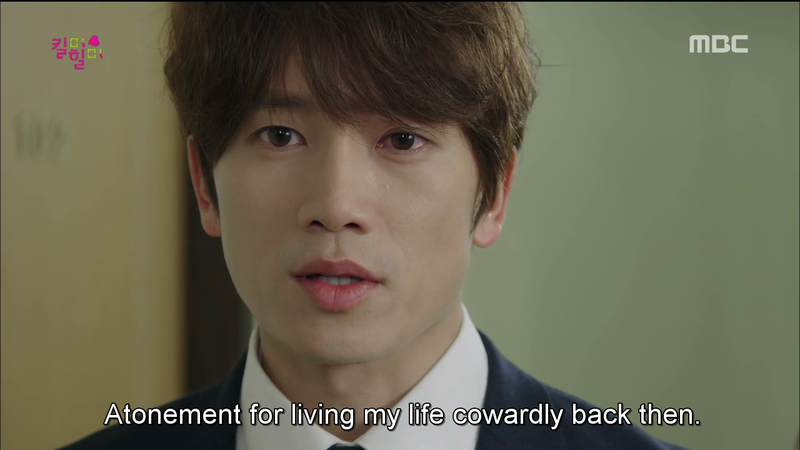 But Ri On has a great deal of heartache to deal with, and Dohyun’s acknowledging that. This wasn’t one of those macho rituals where Ri On was passing Rijin onto Dohyun with a “take care of her”. This was a “Hey, you did your best” sort of drink. A sort of “I’m sorry it didn’t work out for you. I know it could just as easily have been me she was rejecting”. It was that sort of meeting and parting. And worse for Ri On is his writer’s mind connecting lines and showing him that if, just if, they hadn’t been abused as a child, he might have been in Dohyun’s position. Or not, we’ll never truly now. But the possibilities and pain are going to torment Ri On for a long, long time. Just as with every one of us, when something we yearn for slips out of our grasp, we all go “what if?” and we all think of how closer we might have been (as seen in his flashback of the warm times and joyous moments they spent together). But in the end, we have to deal with the fact that it’s not in our grasp anymore, that it was never in our grasp. And that hollow ache takes a while to fade, which is why I’m grateful for every moment we got to see Ri On’s pain fully manifest itself. 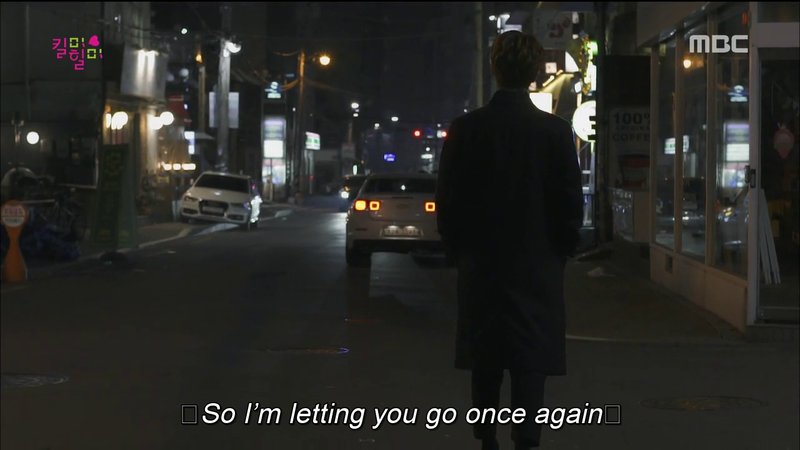 Props to Park Seo Joon as well, for portraying the pain of letting go so brilliantly. 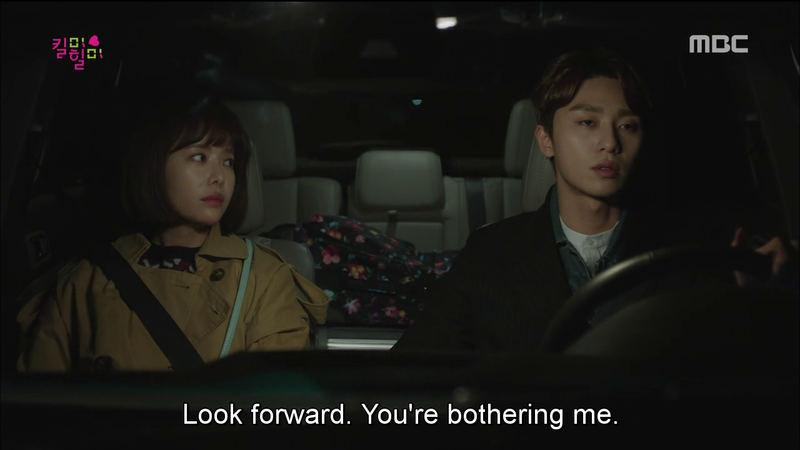 What with Ji Sung and Hwang Jungeum receiving mountains and mountains of praise, Park Seo Joon might be omitted, but considering his age and experience, I have no doubt that we’ll be seeing a lot of him in the more (more please!) 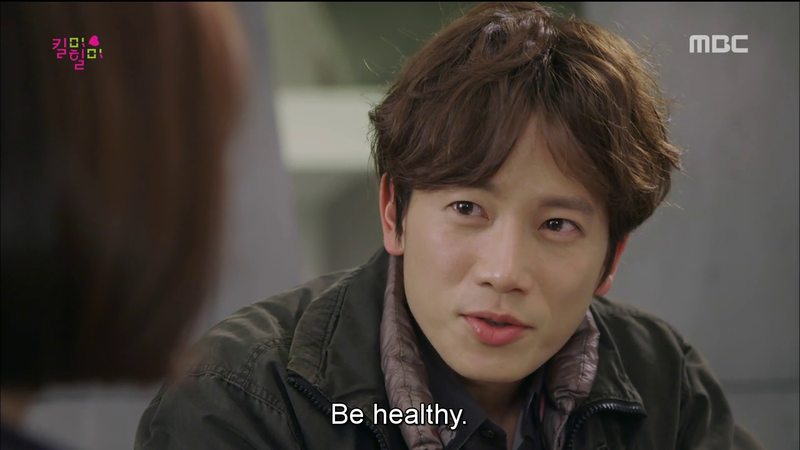 and that his acting chops are on the way to reaching Ji Sung’s level. 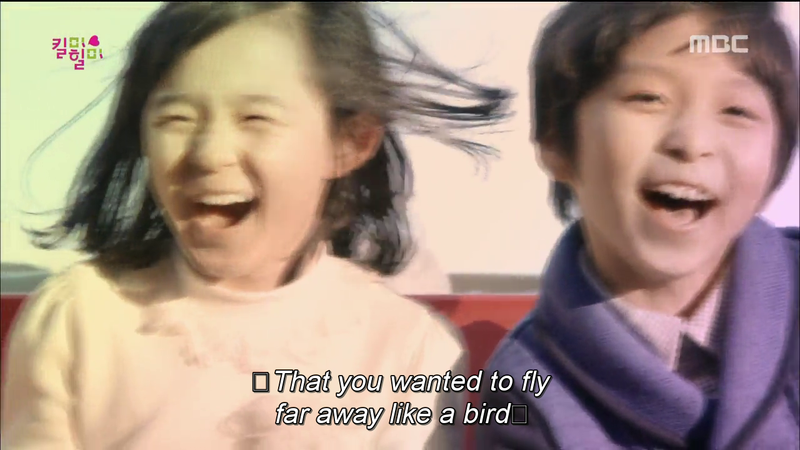 Onto Rijin and Dohyun who are just the cutest couple EVER. 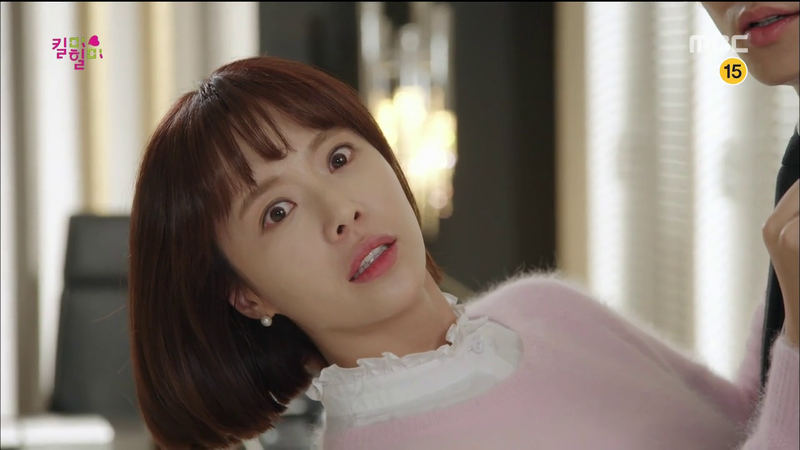 From all that hand-holding in Dr. Seok’s office to all that giggling and romancing in Dohyun’s office (poor Ahn Guk is eternally scarred!) to puppy Dohyun and Rijin waiting for their respective other halves to come home, my cheeks ache from grinning. They are such perfect people together and apart, I honestly can’t even. I could go on and on about their couple dynamic about how well they talk things through honestly and this immense aura of quiet joy that surrounds then, but I think you all already know that. So onto the scene that made me weep like crazy. This writer really knows what emotional points to hit. When Dohyun suggested consoling their childhood selves, I thought of shopping and pigging out. I didn’t think of this. 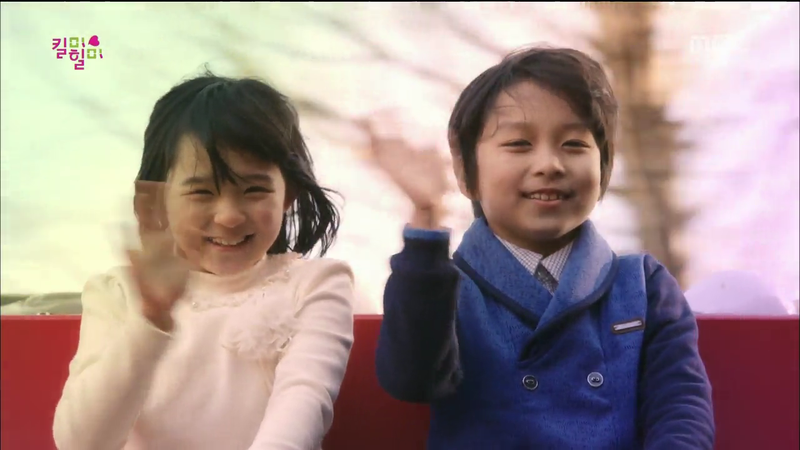 The child actors are brilliant here as well, effervescently playing and building off and with Ji Sung and Hwang Jungeum. When they linked hands, you could just feel their older counterparts standing there and doing the same. The children are finally free of the basement, and their smiles shine brightly. That scene needed no words. 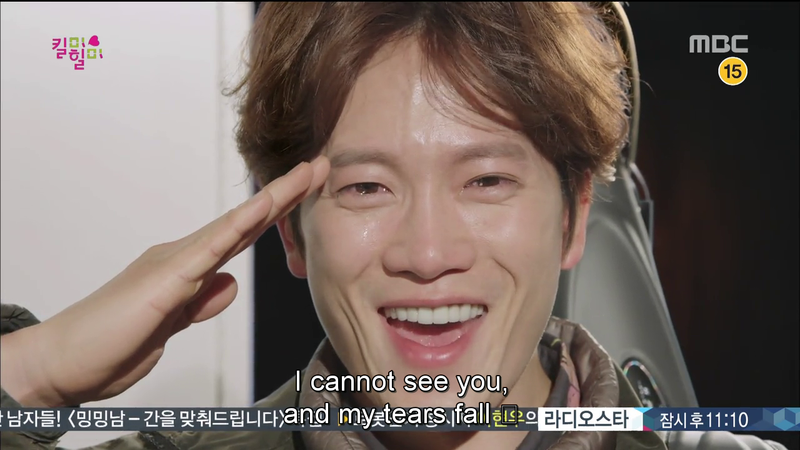 From Ji Sung’s beautiful OST playing in the background, the joy in the children’s eyes to the sorrow and quiet memory in Dohyun and Rijin’s, I could go on and on about the beauty of that moment, of that farewell to their shared pain but I’d never do it justice. I’ve never seen joy, sorrow and love come alive so tangibly before. 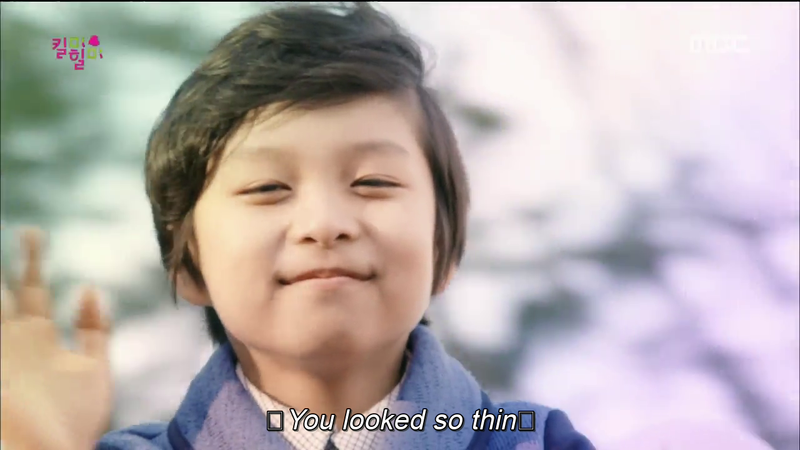 Bravo writer-nim, Ji Sung, Hwang Jung Eum, and the wonderful child actors. I haven’t cried that hard in a while. Thank you for allowing me to see something so special. I’m truly grateful. Did anyone else feel how warm this episode was? Chockfull, nay, bursting at the seams with emotion. Going on with confronting and moving out of their pasts, comes the inevitable goodbye to the alters. As much as I wish they could live on forever, the more I found out about just where these alters came from, and what memories and actions they were rooted in, the more I was sure that Dohyun confronting these memories would mean the death of the other personalities. I love Rijin’s understanding of the warmth Dohyun feels in some way towards his father and Dohyun’s concern for how she feels about it. Even better was hearing how warm and loving their conversation was. Forgiveness, being the key to it all. I was worried when Dohyun’s dad’s hand started twitching, that he was going to come awake and that Rijin would forgive him that way. But we got something even more special here. I really, really love how much Rijin cares for all the alters enough to buy them presents, and I’m going to hate seeing them being sent off. It seems that even in the last two episodes, sorrow and joy will continue to mingle. As seen in Perry Park’s good bye today. Perry to me, was always more of a comic character, right until the reveal of just who he was based on. 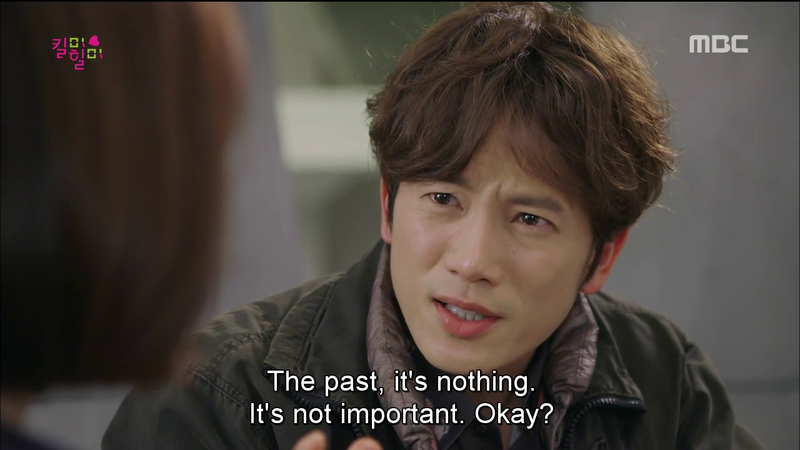 More than a personality based on Dohyun’s father back when he was a good man, it felt more like a manifestation of Dohyun’s father, especially during this last episode when Rijin addressed why he came to rescue her during the leather jacket incident (Oh Segi, you should have just taken it off). It also solves the questions of just how much the other personalities know about Rijin and Dohyun. Perry Park too, knew the truth from the beginning just as Segi did. And it goes to show just how broken Dohyun was that he’d create a personality of his father as one of his alters, and just how well written this show is, for Perry’s farewell to be Rijin’s closure. The advice he gave her was truly well delivered, in signature Perry-style. No more melodrama, move on and go forth. And technically, it was thanks to him in episode 18 that that all came about. To Perry all the alters are his children, and this time he’s going to be a good example and leave now that Dohyun isn’t going to be in pain anymore. Rijin knows just what this means for him, and for all the alters, and I love how she felt every bit of Perry’s pain when he reached for that drink and couldn’t have it. 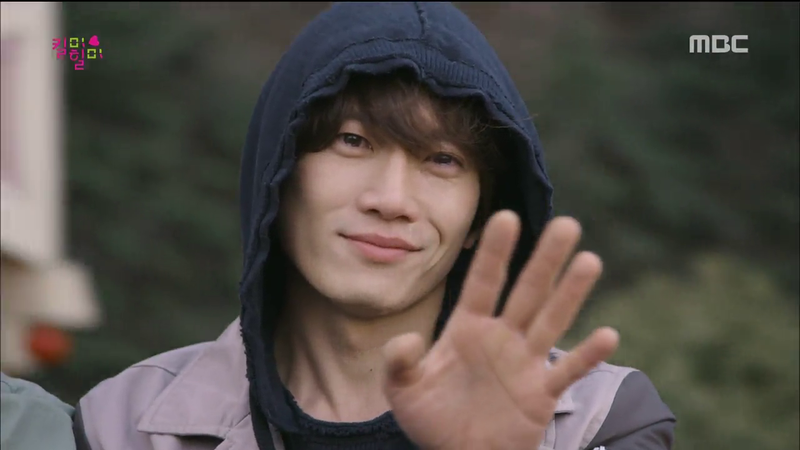 He deserved that farewell, and for him to do so after giving Rijin and Dohyun so much closure, is beautiful. 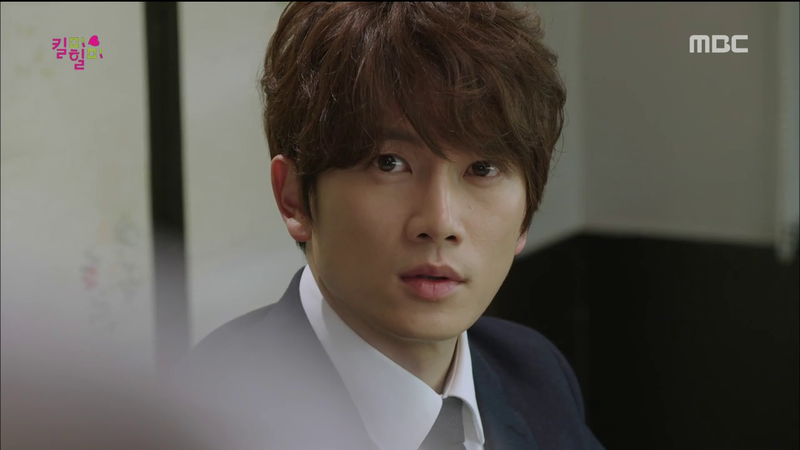 Ji Sung, Ji Sung, Ji Sung, you’ve ruined me for all other actors. Where do alters go when they die? Technically they aren’t even real people so we can’t debate about heaven. But wherever it is, it has a boat with his name on it, and as Perry Park leaves on his final vacation (from which he may never return, to quite Bilbo Baggins) I hope it takes him to seas and locales unknown with fish, and enough beer to bring down a nation. *salutes* Bon voyage. As this show heads into the final rounds of farewells, with Yona appearing to torment poor Ri On (why can’t those two end up together?) some levity is greatly, greatly needed. Therefore I’m more than grateful for the sudden appearance of Mr. X! 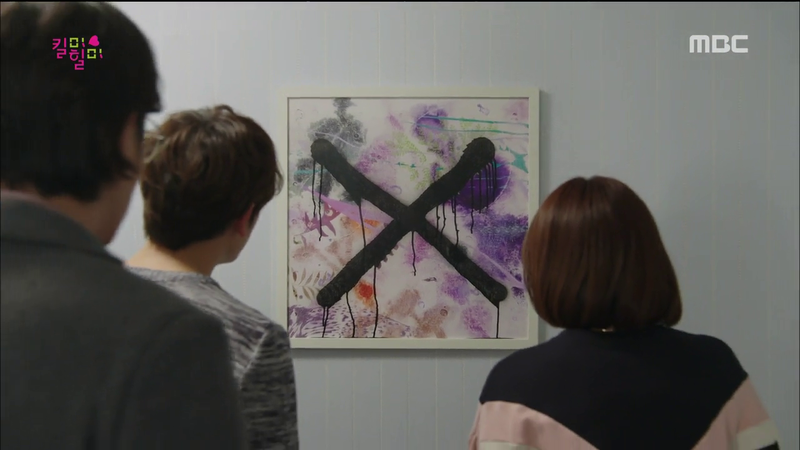 Honestly, when that figure crept into Rijin’s room, especially after that conversation between Evil mom and Grandma (come to think of it, were Scary Grandpa and Min Soyeon murdered or not?) 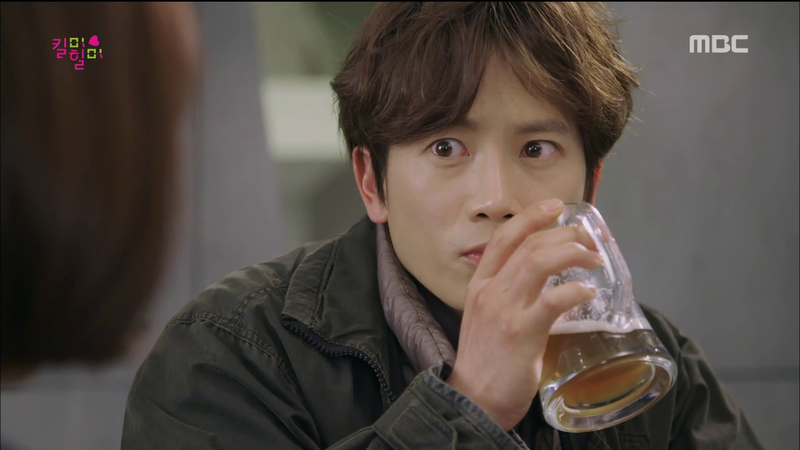 I honestly though Cha Ki Joon was sneaking into Rijin’s room or something (love how Rijin stood up to him earlier). ESPECIALLY with that shadow of those fingers playing across her face, whoa that was frightening. But X, the Magician! Bring in it on baby! I’m ridiculously happy at this turn of event and at how this show continues to turn things on its end. Even I was beginning to speculate that X referred to young Cha Joon Hyung who became nameless after the tragedy 21 years ago. Thank you, show for turning that upside-down! What with the appearance of Nana (IN PERSON! YES! YES! 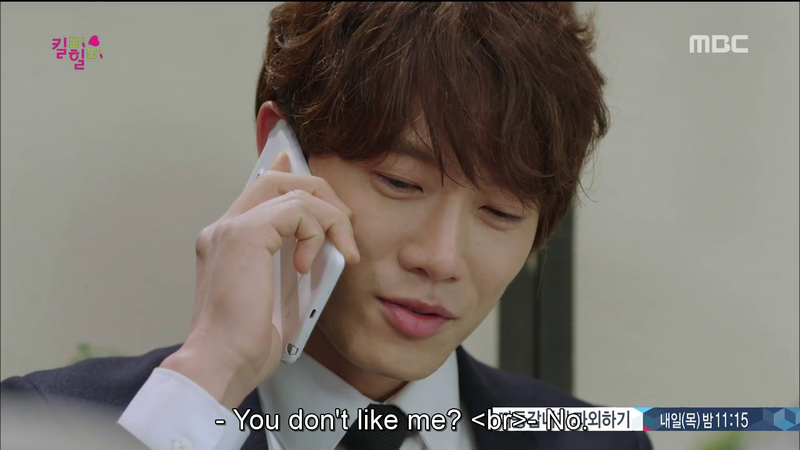 YES I’m so damn pumped for this) and X and the fact that all the personalities may be rebelling as was said in the preview, it seems that Ji Sung and Hwang Jungeum continue to scale greater and greater heights. This show is going off with a bang, and I couldn’t be happier at having being able to see such a brilliant production from start to finish, while suffering from extreme heartache that it’s ending. 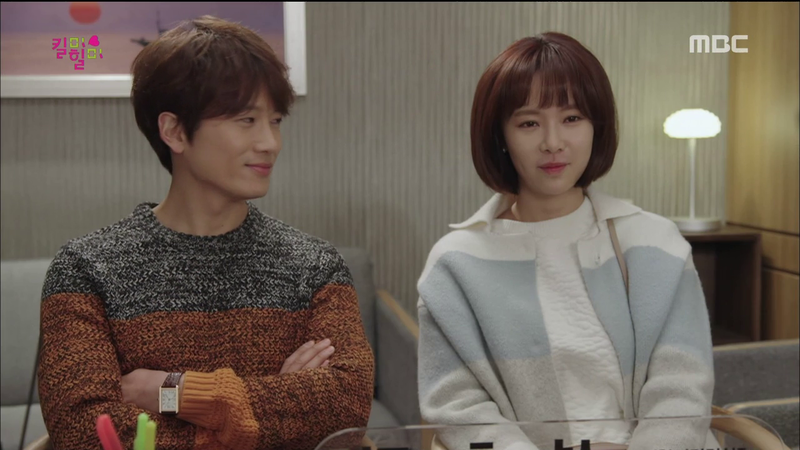 It’s a damn shame that Korea doesn’t pull a Taiwan and have actors and actresses pairing up often for productions. 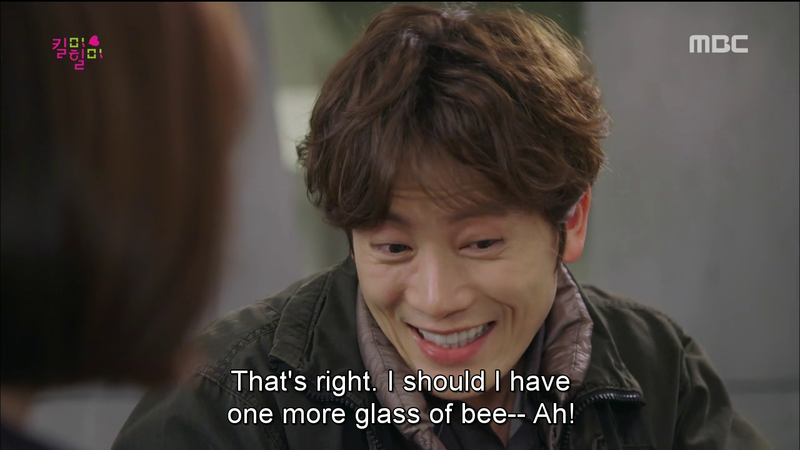 Twice isn’t enough for Ji Sung and Hwang Jungeum. As much as I mentally plead for a third drama re-encounter, luck doesn’t seem to be in my favour. But then again, who knows? They’ve already paired up a second time, and so quickly to. One can only hope. 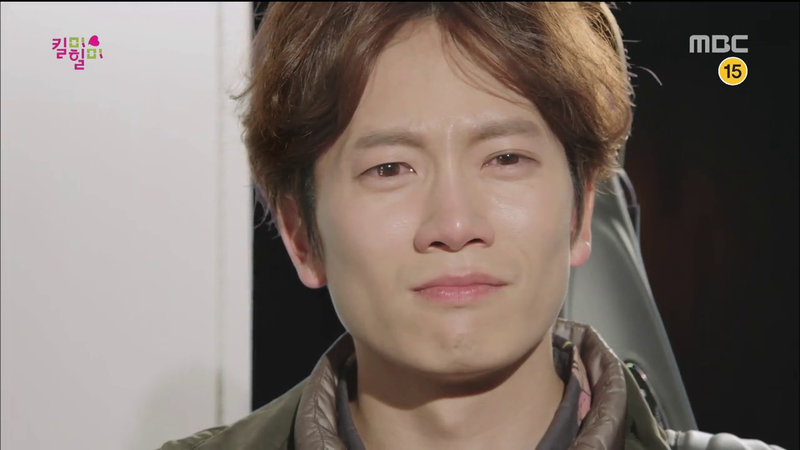 Tomorrow will be farewell, dear show, after which I will enter a period of mourning that will likely be 10 times the one I had after Liar Game. I’ve said it before, but I’ll say it again. I’m truly grateful, as a writer, and as a viewer to have been able to see such a wonderful production in every count, from the teaser photos to the first previews, to the brilliant script, the twisting ingenius writing, to the magnificent acting, I am awestruck and truly, truly grateful. 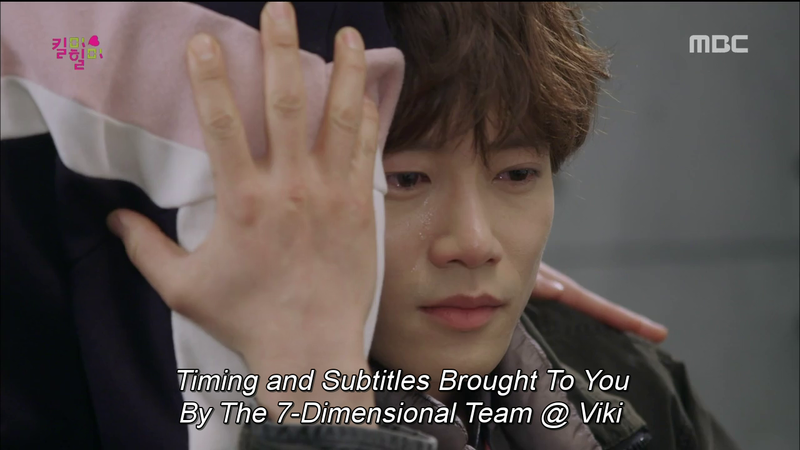 Time for me to stock up on tissues for Segi, Yosub, Yona, Nana, and X’s farewells tomorrow. Something tells me I’m going to need a lot. Same here xD That daesang has his name on it; there’s no performance that can top his! 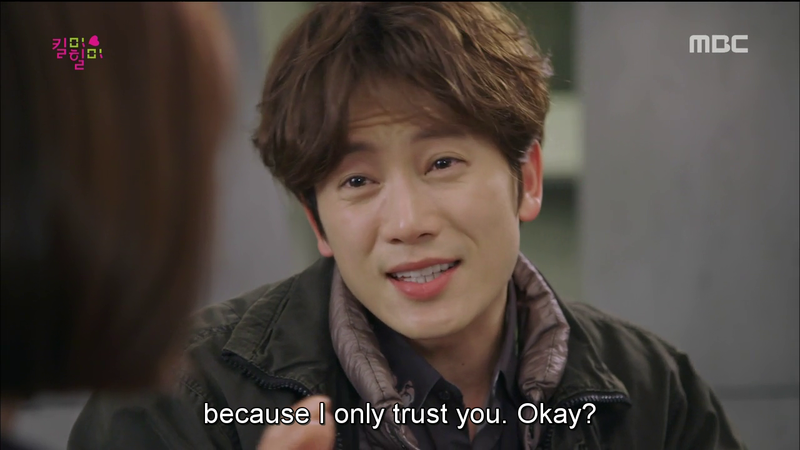 i only came across this now while searching for any KMHM related stuff to consume. you have a way with words, i like it. 🙂 i’m gonna be happily parking here in your blog. 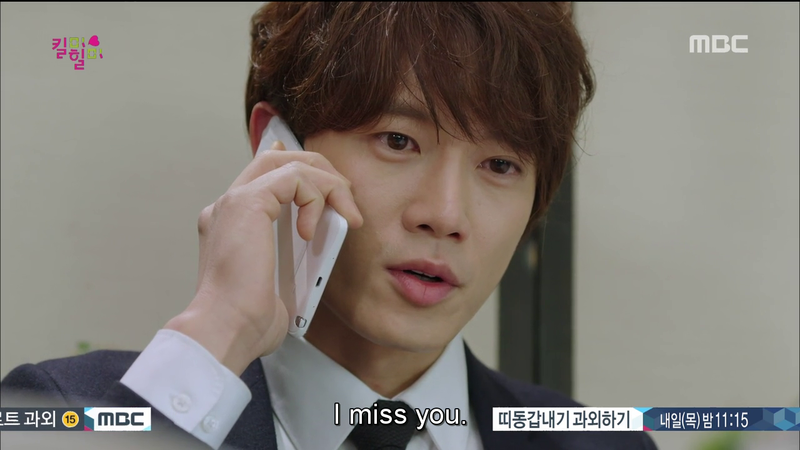 gosh, i really miss KMHM. Same here 😦 That Daesang has Jisung’s name on it and it better go to him! Or I’m going to flipping tables like Segi going “This is invalid. 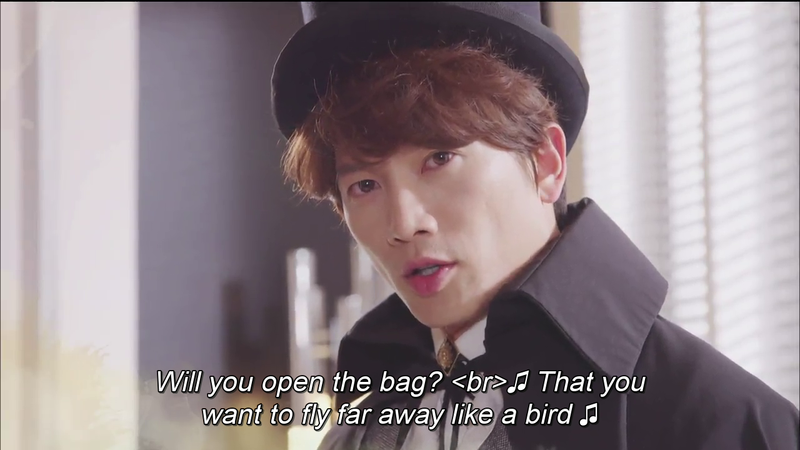 Invalid!” Lol Seriously though that drama was absolutely gorgeous from story to acting to directing to music, I could not have asked for a better, more wonderful show to feast my eyes on. 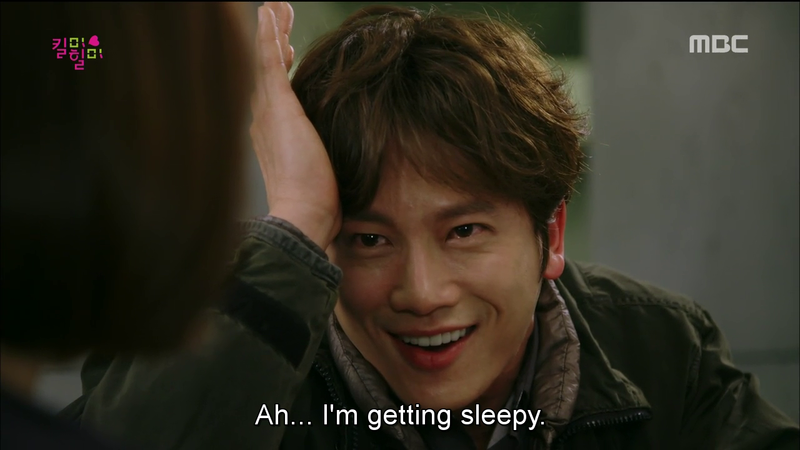 I recommend wandering through the KMHM soompi thread, there are some great wallpaper and interview translations that some awesome users have been doing that really take the ache off bit by bit!